PhantomX Pincher Quick Start & Manual. 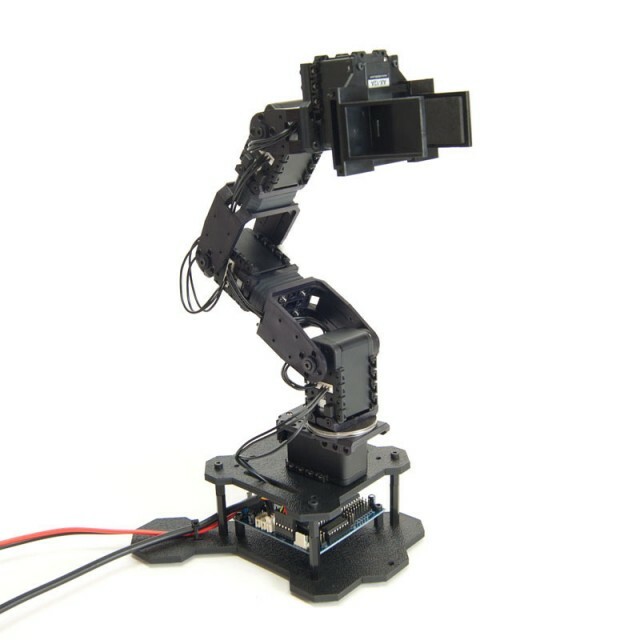 PhantomX Pincher Robot Arm 3D Model with and without base (STEP & Inventor Formats). TurtleBot Robotic Arm Build Guide on MakeProjects.com. 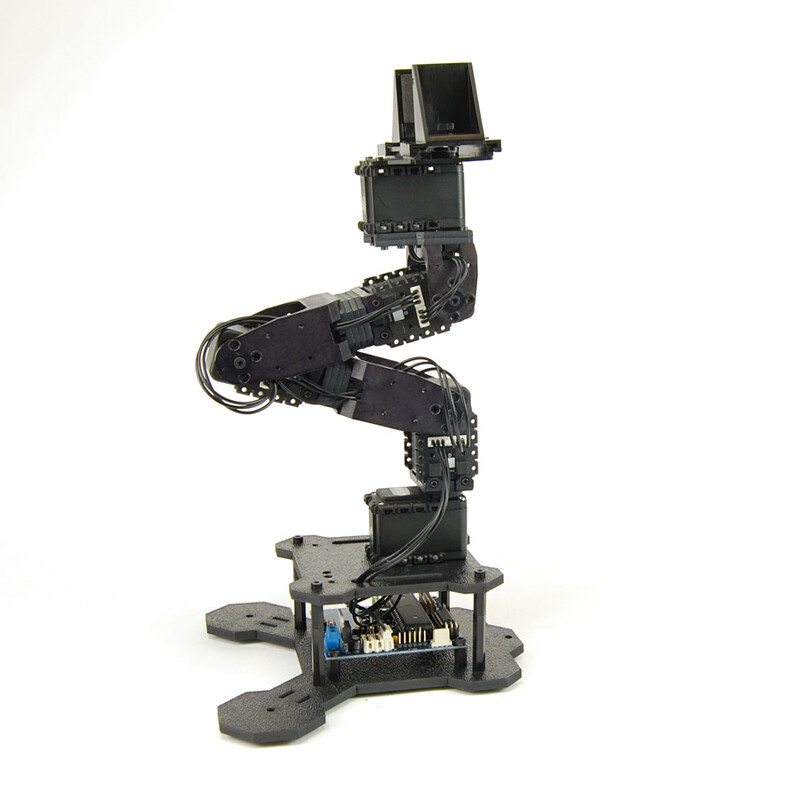 Wiring and Attaching an Arm to your TurtleBot. TurtleBot Arm Initial Setup and Configuration. 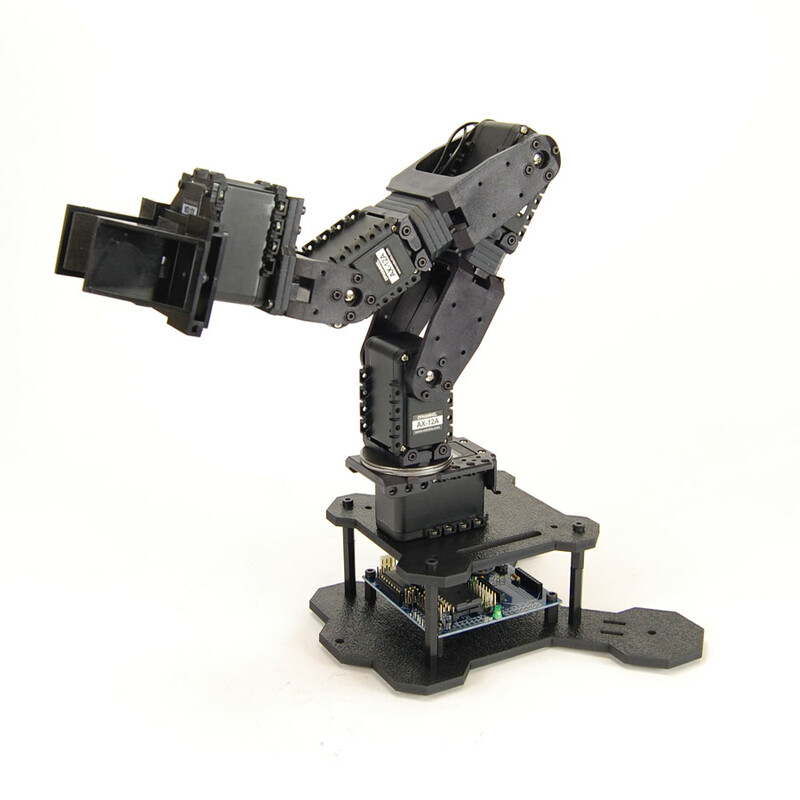 The PhantomX Pincher AX-12 Robot Arm is a 5 degree-of-freedom robotic arm and an easy addition to the TurtleBot ROS robot platform. 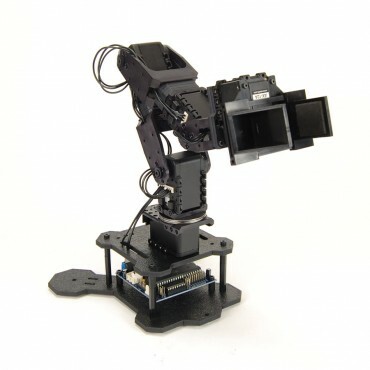 This hardware kit comes with everything needed to physically assemble and mount the arm as a standalone unit or as an addition to your Turtlebot Robot/mobile platform. 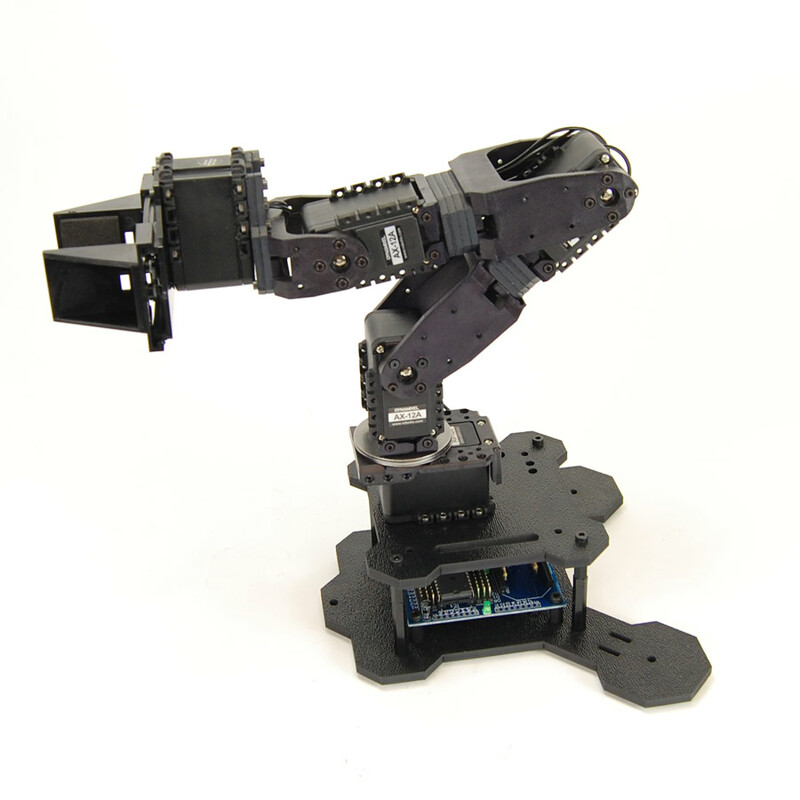 Vanadium Labs has developed an ROS stack that makes communication with the arm a breeze. 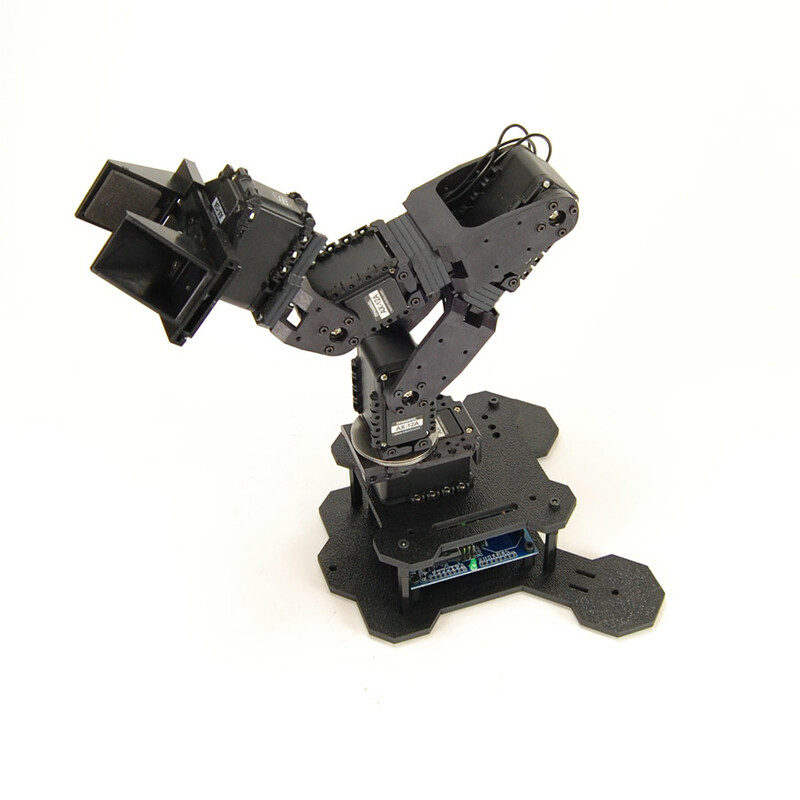 Want to have your TurtleBot interacting with the environment and picking up small objects in no time? This is the perfect kit for you! Please note that the arm currently does not come with supported software. The ROS examples are available and open source, however the arm as sold as a hardware platform only. We expect a comprehensive IK solution and GUI programs to be available in the future. Solid Needle Roller Bearing Base. Servos come labled and pre-ID'd. PhantomX Pincher Arm Hardware & Frame Kit.